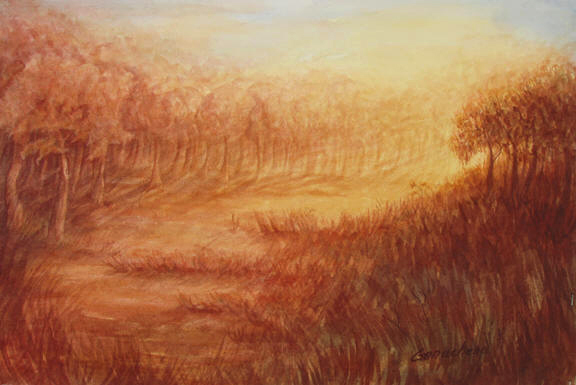 Watercolor, landscape painting of a forest in golden fog by Rose Ganucheau. All images on this site are copyrighted. They cannot be used without permission. This site features orchid information, including the book, American Cattleyas by Courtney Hackney, Growing tips (his monthly column), and a list of small numbers of available divsions, stem-props and crosses from the Hackneau Collection. The site also features the art of Rose Ganucheau including original paintings in watercolor and pastel, and limited edition reproductions/prints.